Notes Mesembryanthemum [H.M.L. Bolus] 2: 245 1931. SB771 (Collector: Steven Brack) Locality: Hilda Peak, Wildeperderants Mountains, Rechtersveld, Little Namaqualand, North-West Cape Province, South Africa. This is one of the few species with purple flowers. Origin and Habitat: South Africa, Northern Cape (Richtersveld, Ploegberg and Eksteenfontein). Extent of occurence less than 500 km². Altitude range: Around 300 metres above sea level. 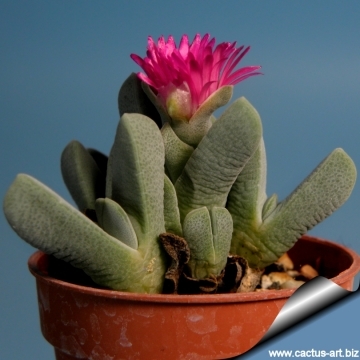 Habitat: Cheiridopsis purpurea is a rare, range-restricted habitat specialist that grows on granite and quartz outcrops and in crevices of quartzitic bands in sandstone. 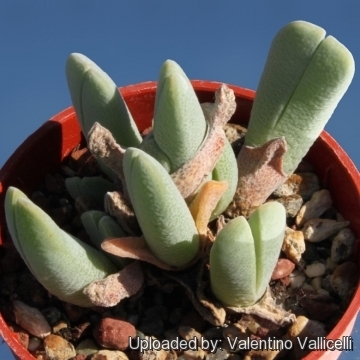 Major habitat: Succulent Karoo. The population trend is stable and the species is not threatened. 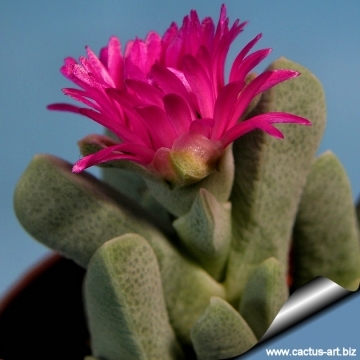 Description: Cheridopsis purpurea is a small tufted succulent that, when mature, forms large clumps or dwarf shrublets. Leaves: Opposite joined at the base, fleshy, stout, three-angled and keeled, silvery green with minute green speckles (translucent in backlight) on the underside, about 3,5 cm long, only 1 or 2(-3) pairs per branches with the younger pair that remains joined almost its entire length while the older pair(s) fully opened begins withering to form a thin wrinkled sheath. 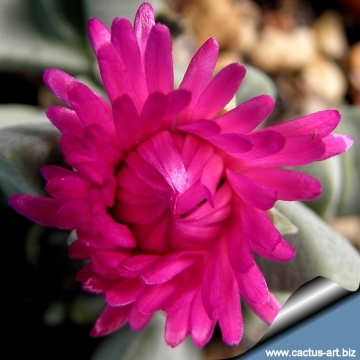 Flowers: Solitary, pedicellate and bracteate at the branch tip, brilliant magenta pink up to 3.5 cm in diameter and their size gradually increases in the course of several days after blooming. C. purpurea open and close their flowers each day for a long time in winter to early spring (but occasionally a second flush of flowers appears in June). Flowers start opening around noon and closes up at dusk, but inner petals complete to unfold only after several days, hiding the interior centre in the beginning. The reproductive part of the flowers mature gradually, after a few days when flowers unfold completely in the centre it is possible to see only the outer ring of sterile stamens. The central ring of stamens containing viable pollen start to open only after a few days and the stigma appears later after some more days. It is in fact a fairly common strategy (found in many other plants species) that active stigmas and stamens mature at separate times to prevent self pollination. The stigma is quite elaborate and particularly decorative with very frilly lobes. Staminodes absent. Fruits: The fruit is a multilocular capsule with awned wings, membranes and large closing bodies. 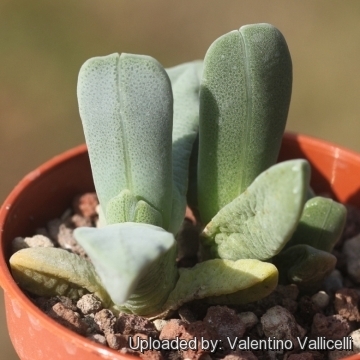 Remarks: The Cheiridopsis are dormant in summer and grow chiefly from late summer to winter. 8) Barkhuizen, B.P. “Succulents of Southern Africa.” Purnell, Cape Town 1978. 10) Hartmann, H. and Dehn, M. “Monographien der Leipoldtiinae: 7. Monographie der Gattung Cheiridopsis (Mesembryanthemaceae).” Botanische Jahrbücher für Systematik 108(4):567-663. 1987. 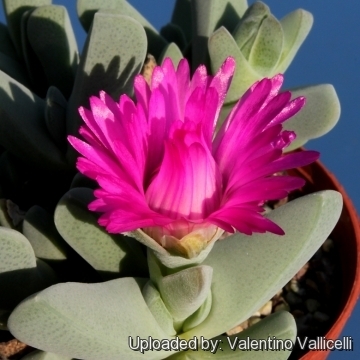 Cultivation and Propagation: The Cheiridopsis purpurea is a "winter" grower which is most active from late winter until later spring and heading for summer dormancy, but in favourable growing conditions it keeps going over the summer too and doesn't need particular care. Fertilization: It thrives in poor soils and seems sensitive to an excess of potassium. Watering: Water minimally in summer, only when the plant starts shrivelling, water more abundantly when they are growing in the autumn and spring. Requires little water otherwise its epidermis breaks (resulting in unsightly scars). Light: It needs a bright sunny or light shade exposure in winter, but keep cool and shaded in summer. 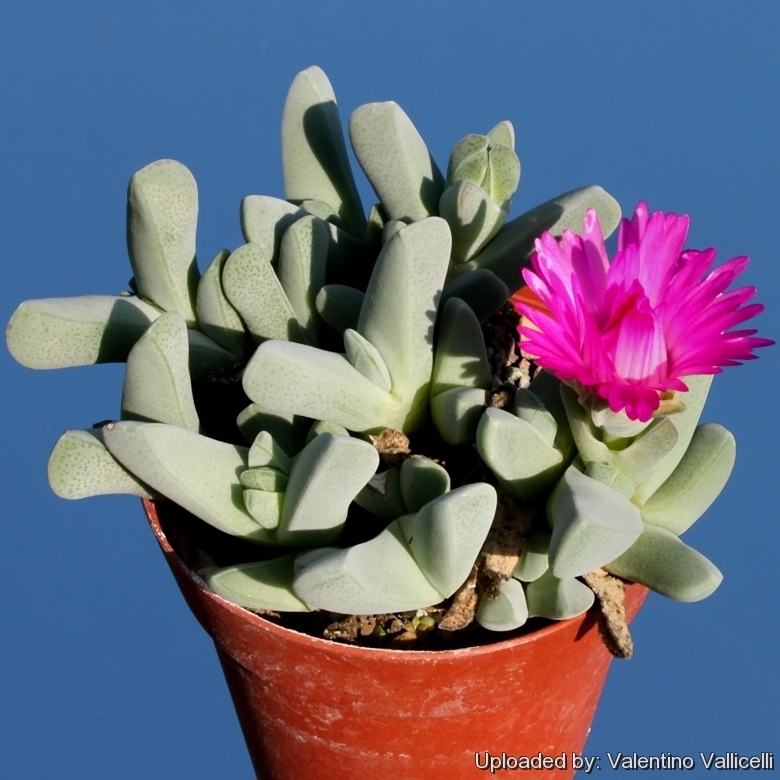 Hardiness: It prefer a very bright situation and will take a light frost (Hardy to -5°C) if it is in dry soil. USDA zones 9A – 11. 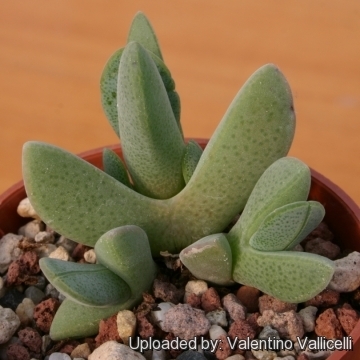 Propagation: Seed in spring or cuttings. 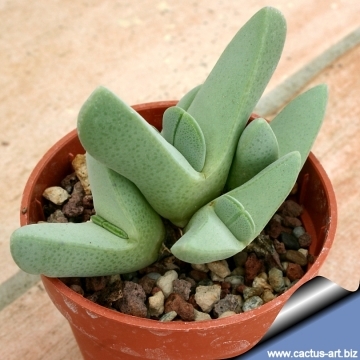 It is easily propagated by seed.